Very cool! My parents just moved there; toally appreciate your post! Looooove your blog...so glad to discover it through your comment!!! Thanks for your fab humor...my hubby has heard me laughing out loud several times while reading you!!! Hi. I live in Asheville and am glad you had such a wonderful experience. I have lived here for fifteen years and believe it or not I did not want to move here. Now, I can't imagine living anywhere else. 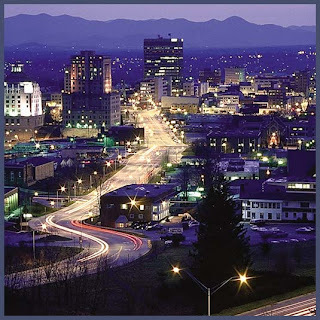 Saying Asheville is not part of the South is something we say here because historically it has been touched by world-renowned artists, travelers, ministries, etc. Anyway, the waiter was probably just repeating a saying he had heard before and perhaps was trying to impress you Some folks are ashamed to be Southern. I, however, am not. Just curious... Please tell what restaurant you are talking about. I'm a bit of a restaurant snob and so I'm curious if I've had a similar experience.